For this cake I started making the Sugar flower first and had the idea to try the new ombre technique I am seeing a lot lately and I am a big fan of it. I was supposed to make a cake for 20 people but this special cake would feed 40 easily! 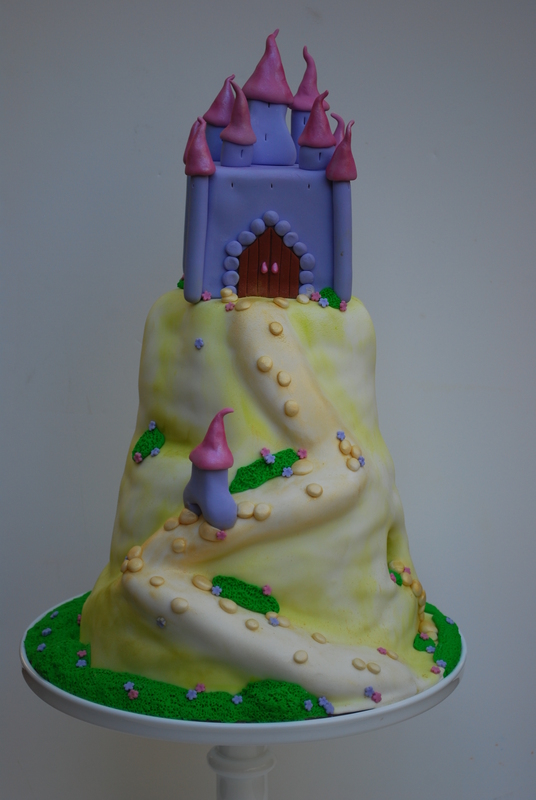 The birthday girl wanted cake to take back home so the first tier was all hers to enjoy with her family and loved ones the next day. It is made with 3 tones of pink but the picture is not showing that well. It was buttercream on the outside and inside was a chocolate cake with fresh strawberries and bittersweet ganache. 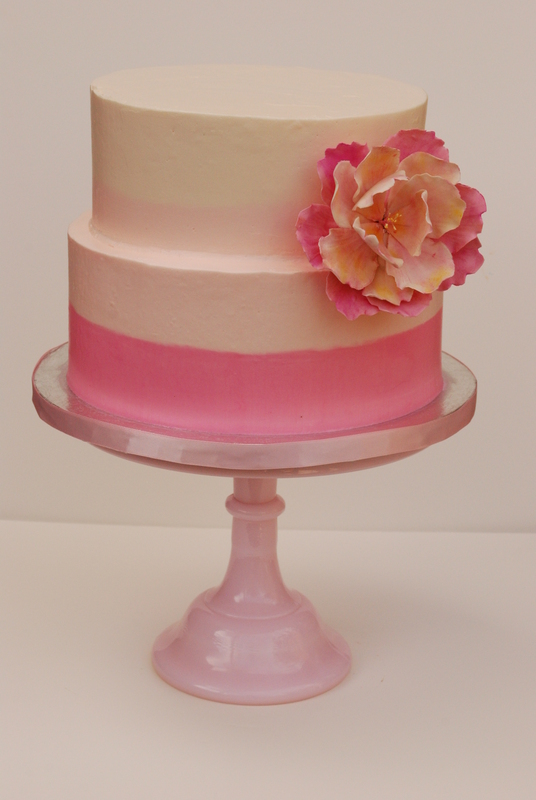 The pink pedestal was perfect for this girly cake! I love to try new things and I was very pleased with the result. Definitely it was a pink weekend for me and my kitchen too!!! Thanks for stopping by.